I have a lot of fun doing these, as I did a couple back on Jan 13 and Jan 12. Enjoy the weekend and thanks to all those who visit the site and post comments. Kenneth. 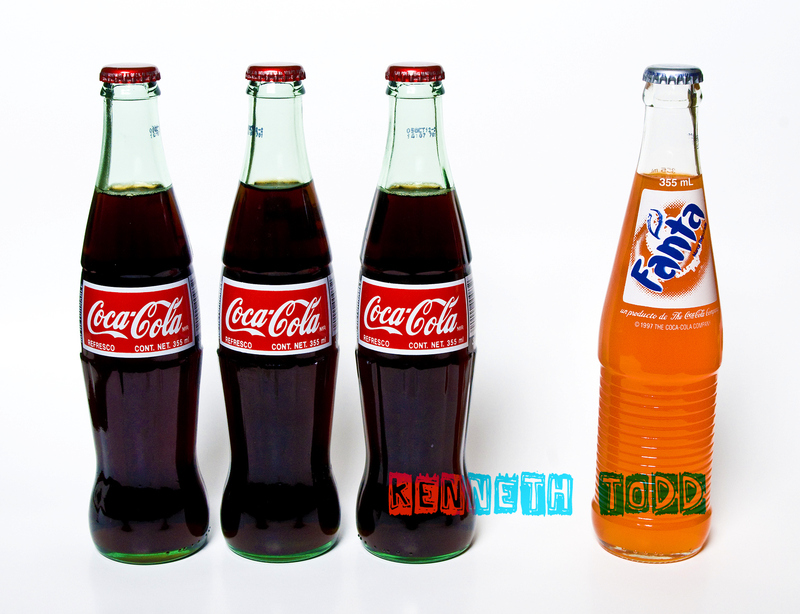 I’ve always been the Fanta! Terrific shot! I’ll take a Coke – it’s the real thing. Sorry; way too corny on my part. is this a campaign against sprite ??? loool love the pic !! great weekend to u too! May I know what lighting properties did you use to photograph it? Thanks in advance, Mr Todd. Hi, sure I used ISO 800 and 1/20 @ f9. I used one light in softbox from higher above my head. Oh, I see. Thanks for sharing the technique. I’ve just learnt design/studio photography and I’d like to know more about it. I love the clear white appearance of the background in this photo. Cool. Normally I would use more than 1 light, but I was too lazy for this :-). As long as you have enough reflection you can get away with it sometimes.